Chocolates are favorite for all, Which has more and more health benefits in it. A food prepared from rostered ground cocoa seeds is usually called as chocolate. Rich cocoa has numerous pros that are listed here. Chocoa has plenty of nutrition filled in it in the form of the below listed contents in a particular percentage. They are fiber, iron, magnesium, copper, manganese, potassium, phosphorous, zinc and selenium. Dark chocolate is the powerful and highest scoring food that had been tested so far for neutralizing free radicals. So it is a rich Anti-Oxidant . It improves blood flow and lowers the blood pressure. It also lowers the risk of cardio vascular diseases. Eating chocolate during pregnancy may benifit fetal growth and development. Cocoa,which has alkaloid in it is used against diarrhea. Due to large amount of fatty acids present in chocoa it helps in put on weight without accumulating cholesterol as far as pure cocoa is concerned. Dark chocolate has alkaloids and flavanoids present in it,gives relief from cough and cold . Stearic acid in chocolate relieves throat sore due to continuos coughing. 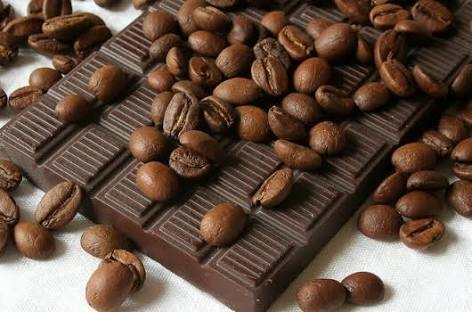 As mentioned before dark chocolate helps in increasing the blood flow which is very necessary to get a glowing skin. It also increases the skin density and hydrates the skin. Also Anti-Oxidant helps in preventing the skin from acne. Increases blood flow keeps brain active. A study result has proven that drinking 2 cups of hot chocolate a day could helps in keeping the brain healthy and reduce memory decline. Cocoa contains caffeine which is an alkaloid and it also has a type of amine which are the natural stimulants. These are very effective as mood enhancers and anti depressants. Cocoa also has amino acid which has relaxing effects. It also has soothing and refreshing effects in case of tension and stress. Chocolate had lots of milk cream, butter and sugar which is not recommended for obese or for those who participate in very little physical activity. Cocoa is addictive due to its caffeine , it may also leads to poisoning in long-run as cocoa beans absorbs lead. So as we knew “Too much of anything is good for nothing” ,keep calm and eat one chocolate a day and stay wow.Thank you for reading this article, kindly post your comments in the comment box below. Does Ferrera Roger serves these benefits ? Abdul as I have mentioned it purely depends on the percentage of cocoa in it, rather than milk products and butter. Does eating more anti-oxidants decrease oxygen in our body?? No it’s not work that way Abdul, anti oxidant will neutralize the free radicals and stop cell destruction.. If you have any doubts I recommend you to go through beta carotene article written by me..Thanks for your comments.please visit again..
Who knew chocolate had so many hidden qualities.